Olympic participation may be up in the air, but the NHL has committed to playing at least two regular season games in Sweden in November of 2017. 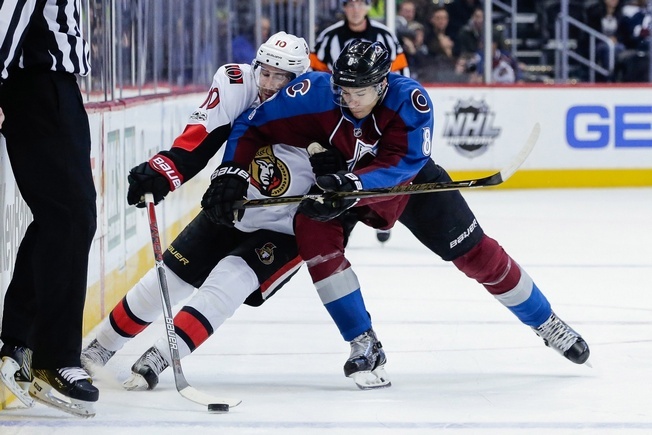 The league will send the Colorado Avalanche and Ottawa Senators to Stockholm for two games on November 10 and 11. The games are part of the 2017 SAP NHL Global Series and will mark the sixth time the NHL has played a regular season game in Europe. Landeskog was born in Stockholm and will join Senators captain Erik Karlsson to play in his home country. Other Swedes include Colorado’s Anton Lindholm and Carl Soderberg and Ottawa’s Frederik Claesson and Viktor Stalberg. With about 26 percent of NHLers born outside of North America, league outreach to other markets is inevitable and wise. It’s clear that participation in the Olympics is still a hot button issue, but for Bettman and Co. it’s all about markets more likely to sell the game. And at this point, there’s more belief in advancing the NHL’s influence in Europe than there is in accomplishing the same goal in PyeongChang. Ottawa has already been down this road, travelling to Europe in 2008 for the Bridgestone NHL Premiere. They split two games with the Pittsburgh Penguins in Stockholm. And ahead of the 2008 season, the Senators played exhibition hockey against Frolunda. Colorado, meanwhile, will be making their second trip to Europe. They were part of the 2001 NHL Challenge Series when they took on Brynas IF of the Swedish Elite League. Alex Tanguay scored a hat trick.